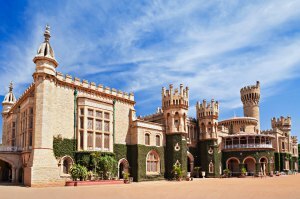 City of South India, Bangalore is in the Karnataka province and its suburbs over 8 million. academic and scientific center of the country, considered the Silicon Valley of India, Bangalore is home to many companies from around the world. Very cosmopolitan, the city has an international airport (40 km from the city center), and many sites can attract the attention of travelers, although tourism is no longer the highlight of the place. Some examples: the Flower Market KR Market with thousands of colors and perfumes; Lalbagh Botanical Garden, and its thousand varieties of exotic plants and trees, its hall of glass and wrought iron and monkeys in the bamboo; the Gallery of Modern Art, little known but with a beautiful collection, housed in a beautiful colonial building; Shiva temple, with its imposing monolith of 20 meters high placed in the middle of an artificial lake; Cabbon the museum surrounded by his park; Mahatma Gandhi street where are located shops, cafés and restaurants. To move around the city, the rickshaw is probably the best choice to sneak into heavy traffic, or the bus, which is very economical. The skytrain is not working everywhere yet, but it will also be a very good solution.